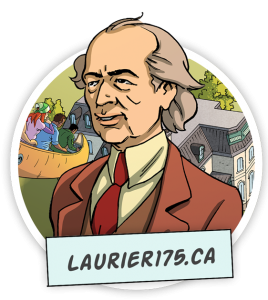 For the 150th anniversary of Canadian Confederation and the 175th anniversary of Sir Wilfrid Laurier’s birth, the Canadian Foundation for Cross-Cultural Dialogue wants to tell Canadians about the ways Laurier helped build the Canada we know today. Presented by animated clips and a comic book, four characters make us discover the history and the legacies of Sir Wilfrid Laurier. Created for students in grades 6-12, a free learning activity guide is available for download. Teachers can present the tools and then test the knowledge of their students based on the guide. To see the animated clips or to learn more about our project, visit Laurier175.ca.